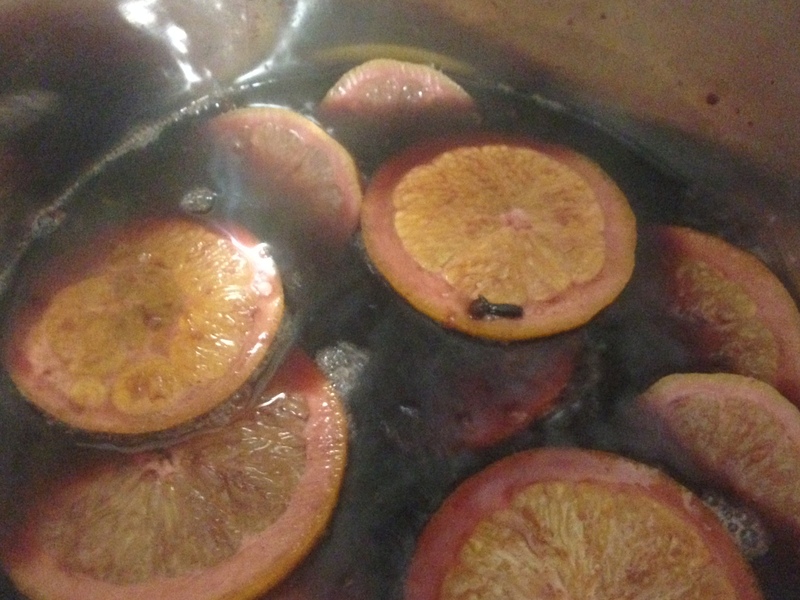 As I announced on my Facebook Site I am going to tell you how to make “real” German Glühwein. In Germany we have Christmas Markets in every city, from small to huge ones. In every city and region of Germany we serve different traditional food. Where I come from we usually eat “Bratwurst hit Pommes” which is a sausage with french fries, “Reibekuchen mit Apfelmus oder Knoblauchsoße”, similar to hash browns with an apple or Garlic sauce. But what is the same in every region is the traditional drink, the “Glühwein”. 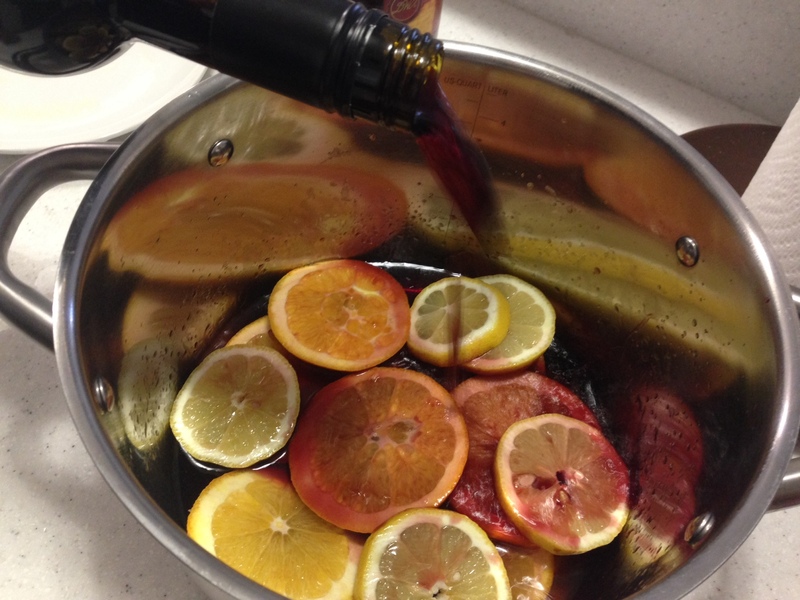 Glühwein is a mulled wine with different spices, very easy to do at home. 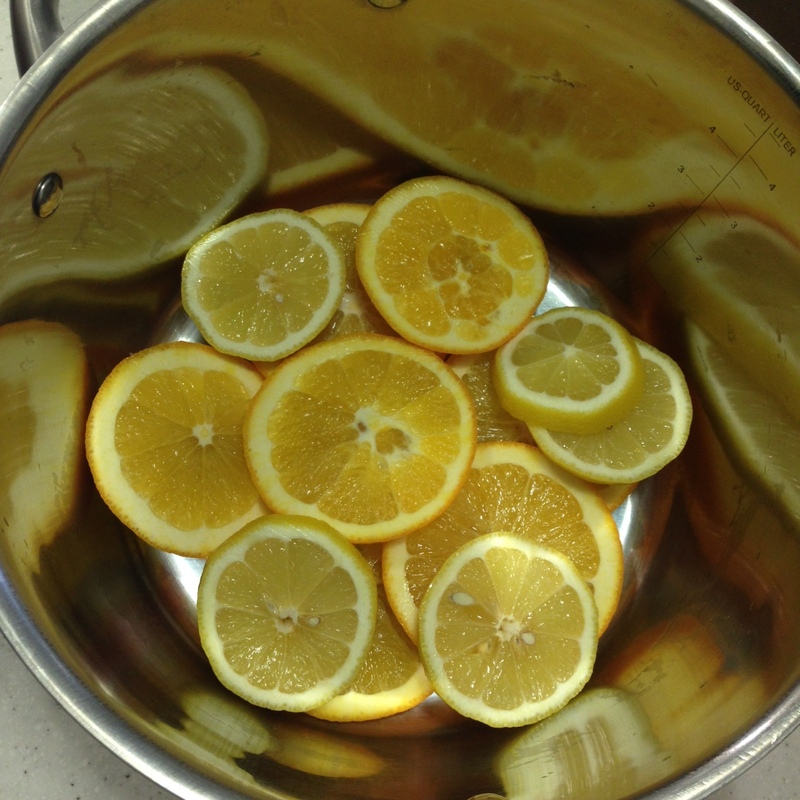 Cut the Orange and Lemon in Slices and layer them in a pot. 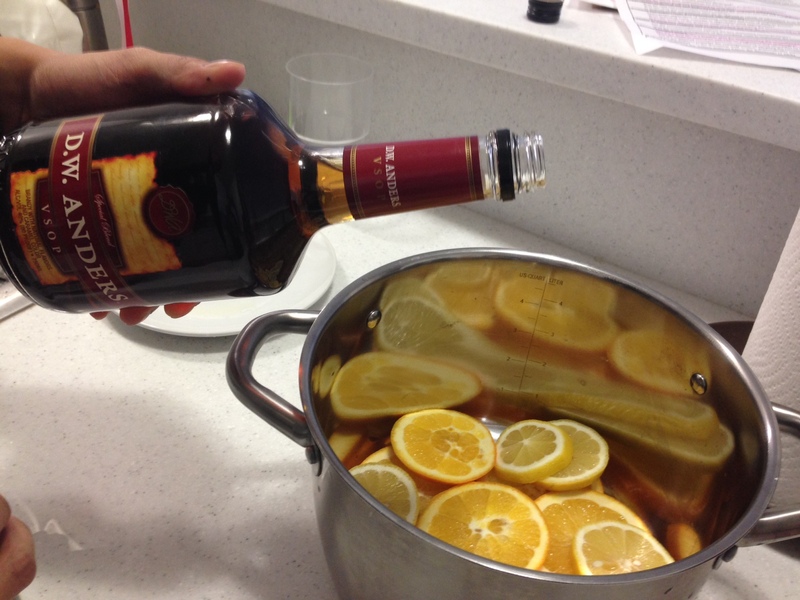 Add about 1.5 ounces Brandy to the pot. Add the whole bottle of red wine. Augment all the listed spices. Last but not least simmer the pot for about 1 to 2 hours until the wine got the taste of Christmas. 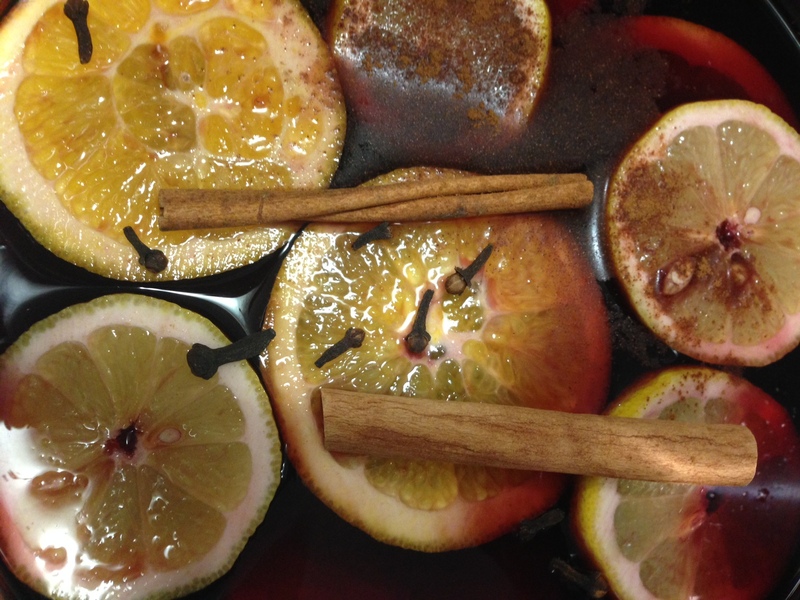 Enjoy your mulled wine and the scent that is going to be in your whole apartment. Thanks for sharing!! Always fun to see some german recipes online!